Borzoi - JJ | Canine Training<p>by Mystic Moon, Inc. This picture says it all . . .
"JJ", Borzoi, is happy, outgoing, fearless, and, knows no strangers. He is sweet, sweet, sweet. He has great obedience, and social skills, at home, out in public, and on or off leash. Yes, a Sight Hound that always comes when called. 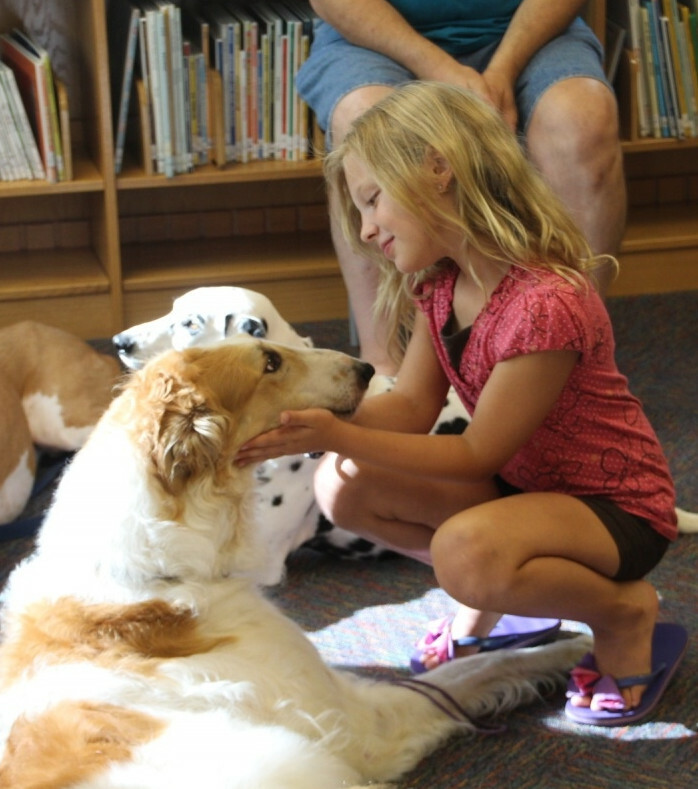 He makes a great dog for Educational Visits, In Home Training for dog reactive dogs, Nursing Homes, and Day Care Centers. Very well trained, he shows off his awesome manners, even with a couple hundred children in a School Demos. A kiss? For me! I'm a lucky girl.